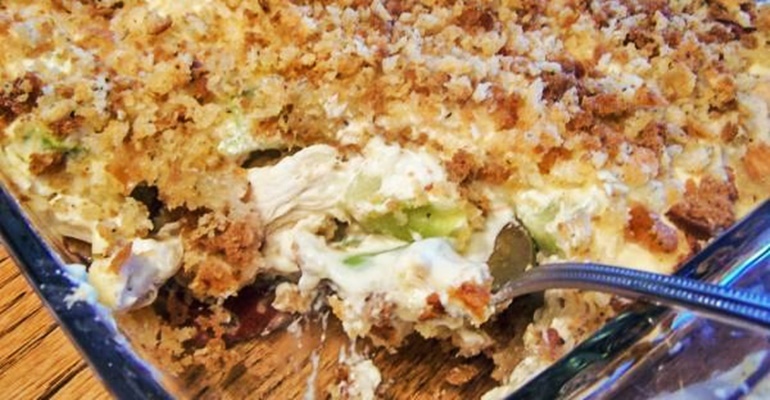 Only 3 Stupid-Easy Steps To Make This Casserole? No Way! The First Time I Made This, I Just Couldn’t Believe How Delicious It Turned Out! This is one of those incredible meals that are so simple, a kid could make it. In fact, I intend to have my two young ladies make this for me next time – they are very eager to help me out in the kitchen, anyway, so I might as well sit back and have them do all the “hard” work for me! You can’t really call it hard work when it comes to this creamy chicken casserole. Those three easy steps I mentioned in the headline? They’re not even easy – they’re ridiculous. But judging by the flavor of this meal, you could never tell it was such a breeze to put together. Chicken casseroles are the best comfort food there is, if you ask me, and I guess that’s why we’re having this dish at least every other week. When life takes over and you think you don’t have time for cooking, you still always have time for this one. Don’t believe me? Give this recipe a try yourself and you’ll know what I’m talking about! This chicken casserole recipe from 77 Easy Recipes is one of my all-time favorites. It makes a great weeknight meal, but it’s so delicious you kind of want to make it for special occasions, too! If you’re really short on time, you could just use rotisserie chicken and this thing will be ready before you’ve even set the table. You could use your favorite kind of stuffing mix to adjust this to your taste, but I guarantee you’ll love it exactly as is. Serve with some fresh, green salad and dinner rolls – it’s a meal you’re going to want to enjoy again and again! Step 1: In a skillet, bring to a boil the chicken breasts, broth, garlic and onion over medium high heat. Turn down the heat to medium and simmer covered for 15 to 20 minutes. 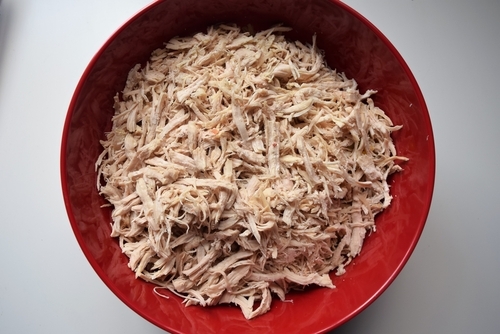 Step 2: Take out the chicken and shred it with a fork. Reserve the broth. Step 3: Melt the butter in a casserole, mix all the ingredients and bake in 350F until golden brown(30-35minutes). Quick tip: Use rotisserie chicken to make this even faster! Big thanks to 77 Easy Recipes for this delicious recipe!